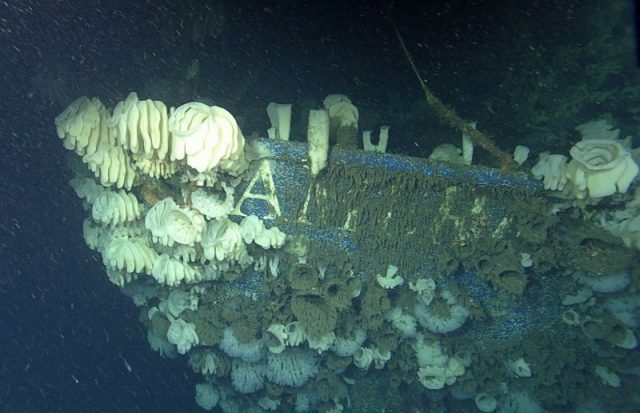 Despite mankind’s continuing explorations with modern technology, the sea still holds many secrets. One of those secrets — the precise location of the American Heritage, which sank off the coast of California many years ago — has finally been uncovered. The vessel went down in Santa Monica Bay in the spring of 1995. No one knew exactly where it was, but former members of its crew said it began taking on water and very quickly sank. All crew members were rescued by the Coast Guard. According to Live Science, the American Heritage was used to ferry men and goods back and forth from offshore oil rigs. For years, no one knew exactly where it was located, but now scientists with the Monterey Bay Aquarium Research Institute (MBARI) have found it and created a 3D model to demonstrate just how it looks today. The Institute’s team first noticed something odd in the water that they suspected was the missing ship in 2008. However it wasn’t until last spring, May 2018, that they went back to the site and confirmed their find. The wreck is approximately 197 feet long and sits about 2,300 feet down on the ocean floor, MBARI officials said in a statement released at the end of December 2018. 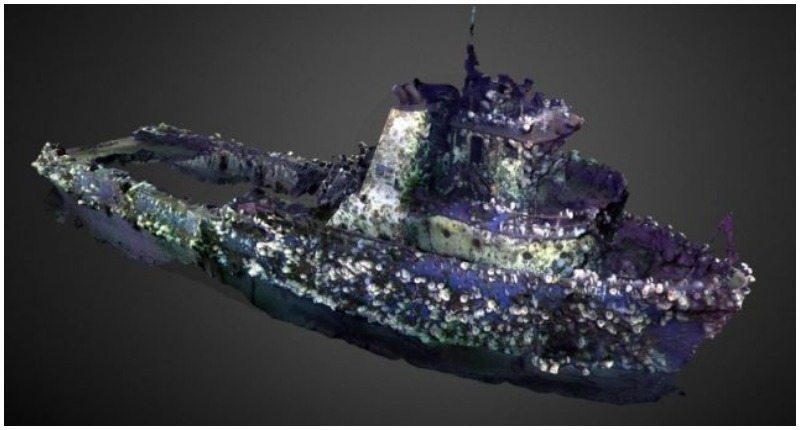 Even though researchers were fairly sure they had found the American Heritage, it wasn’t until September 2018, when they used remotely operated vehicles (ROVs) to investigate the wreck, that they became certain of the identity of their discovery. The chief MBARI ROV pilot who helped confirm the find, Knute Brekke, coincidentally used to work on the American Heritage. Footage taken by the ROV revealed sea creatures clinging to the boat’s hull. Still, letters were visible on the bow, and the researchers could make a positive identification. It’s thanks to images taken by ROVs that MBARI staff have been able to render an accurate, 3D model of the boat — sea critters and all. The MBARI crew was in the area in 2008 to map out Santa Monica Canyon with an ROV when they first came upon something odd. 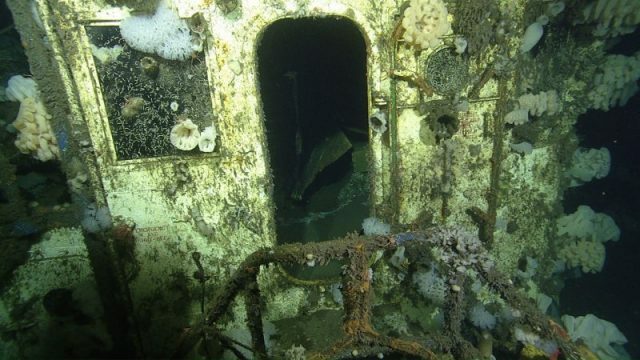 Initially, they didn’t think they’d found a ship, let alone the American Heritage. “They called it an anomaly,” Brekke said. 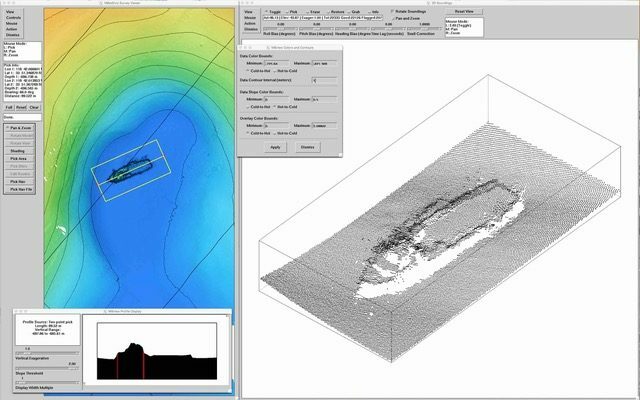 But when the crew returned to the area in May 2018 for another project, maps showed absolutely that a wreck was lying on the ocean floor. This time, rather than feeling helpless, as he had when the American Heritage went down, Brekke was one of the pilots operating an ROV, along with co-pilot Ben Erwin, and they were determined to find out the ship’s identity. In the initial statement released by MBARI on December 20th, Brekke recalled the tumult of that night 23 years ago. He was onshore working with APM, who owned the vessel, when the call came in that it was taking on water. As the Coast Guard were saving the crew, Brekke and the others rushed to try to save the ship. But there was not enough time. They hadn’t even left port when they got the news: the American Heritage was lost. The ship had foundered, and water rushed in through a six–eight inch hole where the propeller shaft had separated. It had all happened too fast to save the vessel. But thanks to Brekke and Erwin’s efforts taking images, we can now see just what the wreck looks like as it lays there in its watery grave. Erwin spent hours developing and designing the 3D model, and anyone can log on and view it on the Sketchfab website. It’s one more mystery of the deep solved by the persistence of the teams who study it.